Got a lot of old CD or DVD disk drives laying around? Trying to find something useful to do with them besides collecting dust? 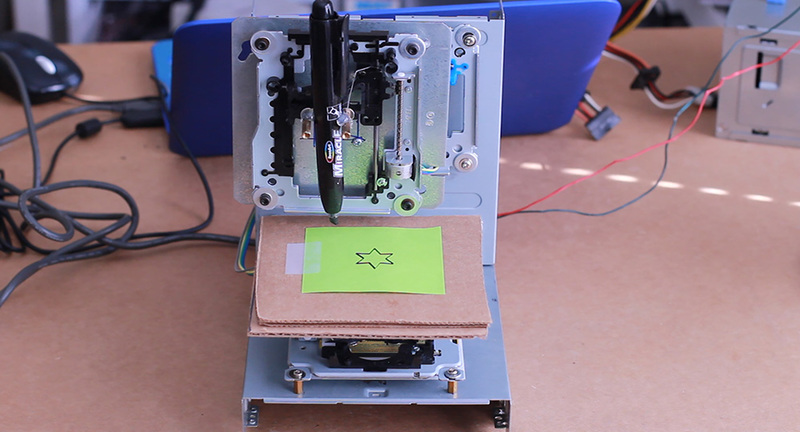 This project will show you how to transform those old drives into a 3-axis CNC machine that you can use to do all sorts of things like drawing pictures, routing small circuit boards with a drill, making a laser cutter, or even making a small 3D printer just to name a few! Watch the videos and follow the steps below to make your own CD-Rom CNC machine! Click here to turn this CNC machine into a 3D printer! Now you should be able to see all of the beautiful guts of the drive: motors, lasers, LED’s, gears…all sorts of cool tech stuff. 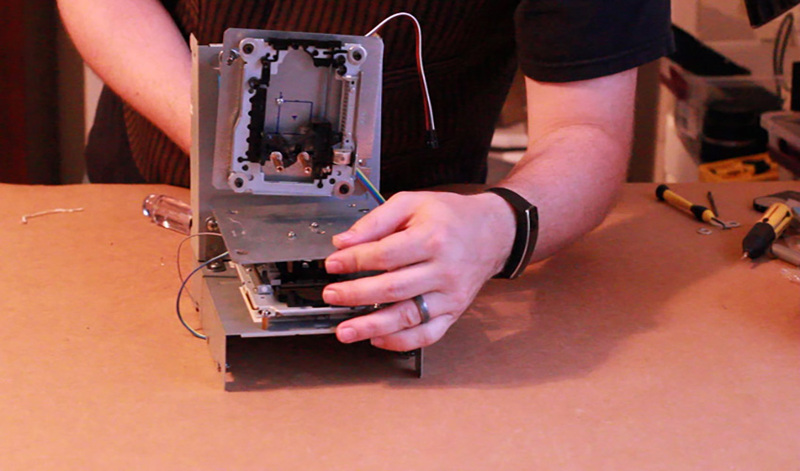 You can take apart and salvage anything that you think you might have a use for, but for this project, we are specifically interested in the metal motor tray with the stepper motor (the one with the spiral rod) and the laser housing. 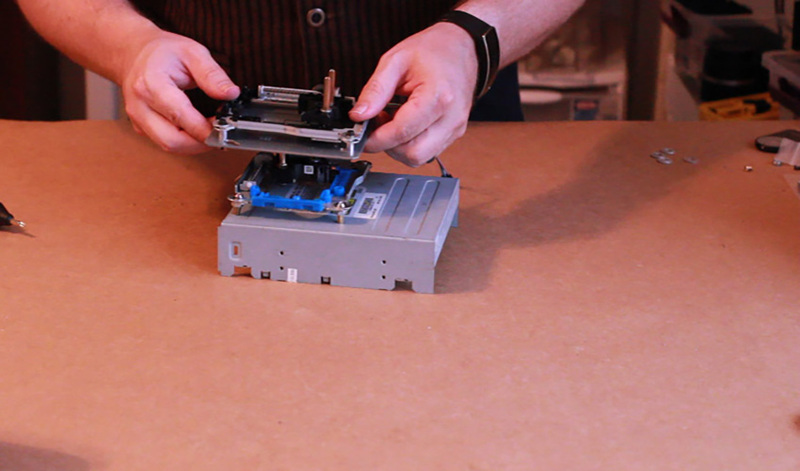 The reason we want this specific part of the optical drive is because it offers a motor, track, and housing that can mechanically provide a smooth back and forth movement, which is ideal for a CNC axis. 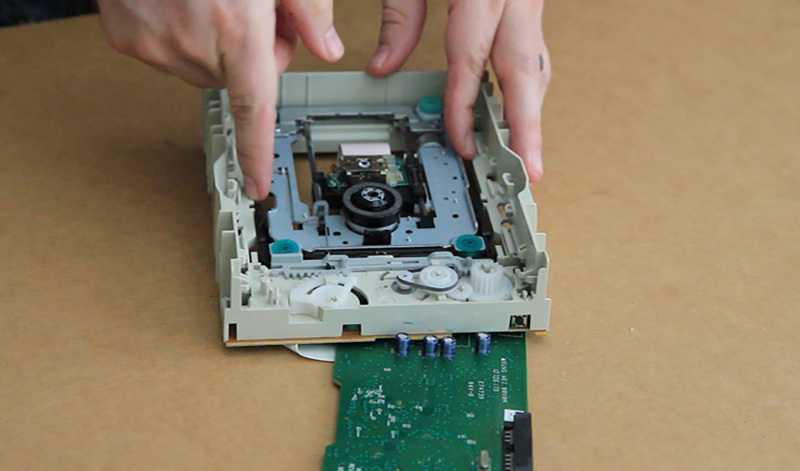 So you will need to disconnect any wires leading to the motor tray and separate it from the rest of the optical drive parts. 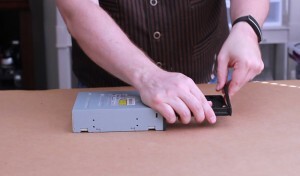 You can remove the brush-less DC motor from the tray if it is attached. While not used in this project, brush-less motors make great motors for quadcoptors. You’ll also want to remove the laser and any other glass parts, magnets, or stray pieces from the laser sled to make sure that it doesn’t have anything that can hinder movement or mounting of other screws. 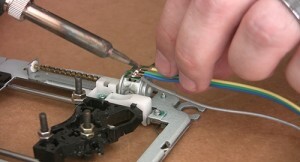 You also want to extend the stepper motor wires. 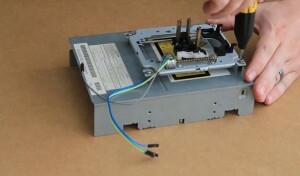 On most stepper motors have a ribbon cable that connects to the main board. It’s fine to leave this, but just cut off the extended part of the ribbon cable (see image to the left at the bottom). Solder four new wires to the pin terminals. They should be at least 6″ long. 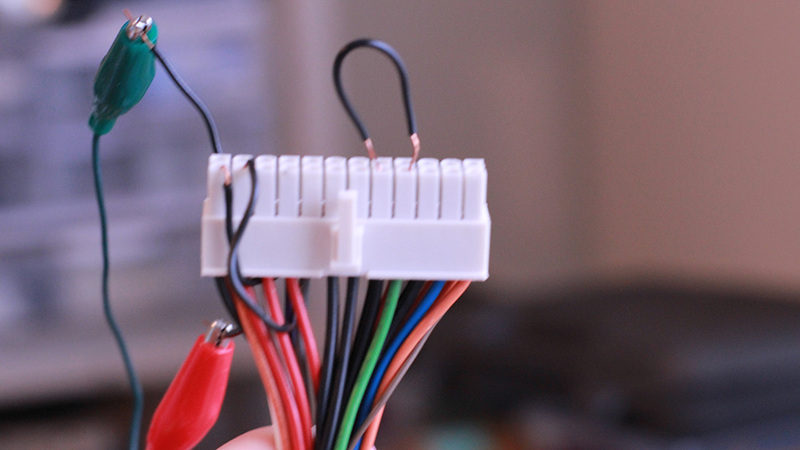 I color coded mine so that I could keep all through motor wires organized. 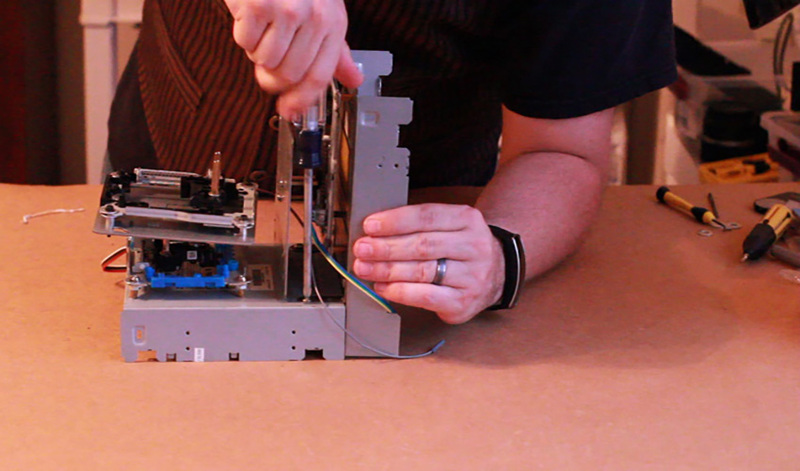 Repeat this process for all three optical drives so that you have three bare motor trays and are ready for the next step. 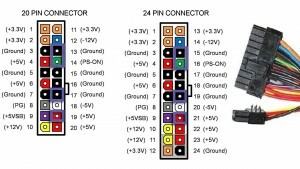 You’ll also need various wires and maybe some soldering equipment to connect everything together. 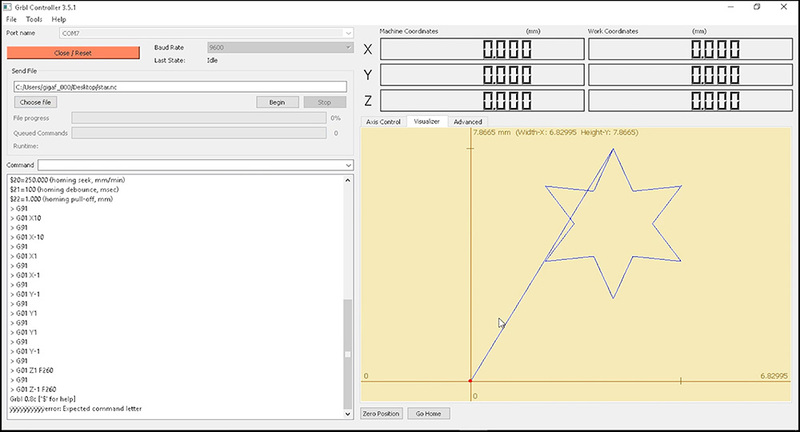 To see how everything connects, it’s best to download the Fritzing schematic above. 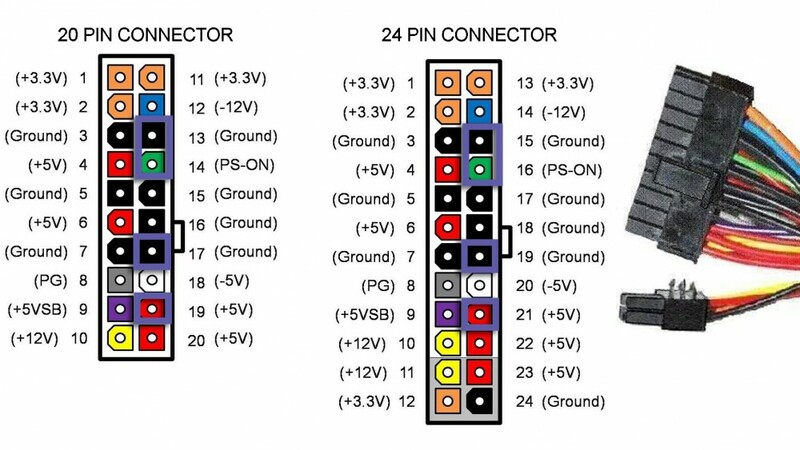 It will show you the ports and pins that everything runs to. Along with that, I’ll try to explain everything here as well. Ok, here we go. 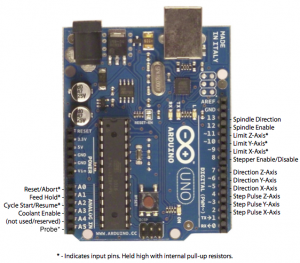 The Arduino Uno is the device that will be controlling everything. It is essentially the “brains” of the device. 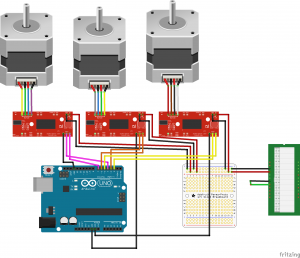 But by itself, it has issues controlling the stepper motors directly. To resolve all Arduino/Stepper motor issues, we’ll need a “Stepper Motor Driver” for each motor (in this case, we’ll need 3). Use the reference images below to wire up the stepper motor drivers to the motors, the Arduino, and the power supply (which will cover later in this step). 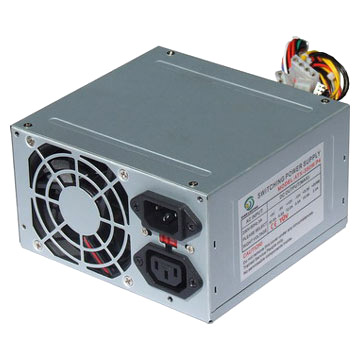 On all ATX power supplies, there is a green wire that senses when the PSU is plugged into a motherboard, and if this green wire is not plugged in or connected to anything, the PSU will not turn on. 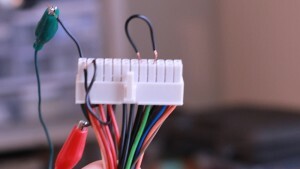 So to bypass this, we can use a small piece of wire as a jumper to connect the green wire to a black ground wire (use photo below as reference). 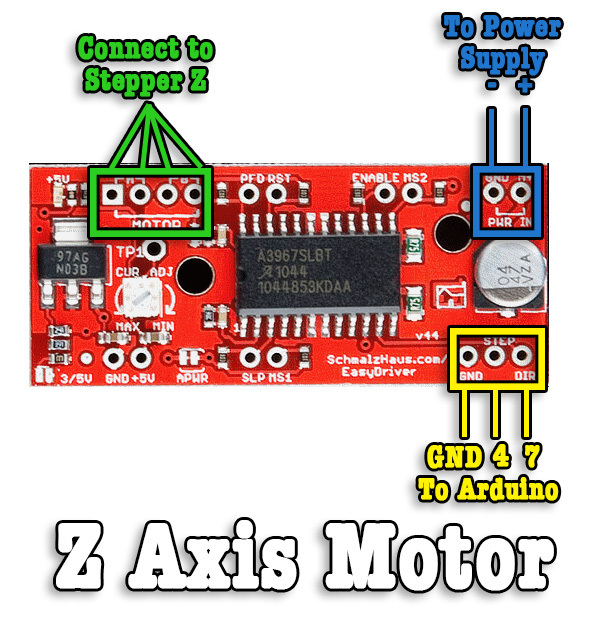 Then to power the stepper motor drivers, you will also need to run a wire from a 5v (red) wire and one from a GND (black) wire. These wires are the ones that should be split out and connected to all 3 of the stepper motor driver boards. Again, you can use the photo below as reference. 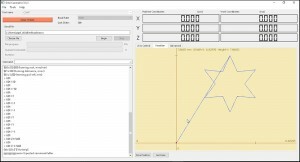 Now that the Arduino is prepped and ready to go, we need to install some software that lets us control the CNC machine. 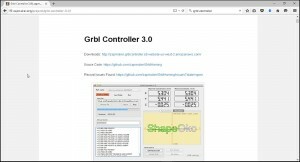 A great easy to use program is called Grbl Controller. 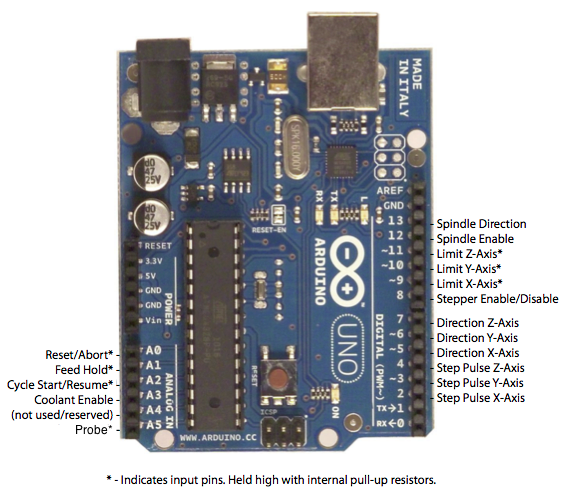 After downloading and installing it, you can open it up, select your Arduino port and click “Open” to connect. Now you can use the arrows on the lower right to jog through the motors. Make sure that the dropdown box in the lower right corner is set to 1 instead of 10. If any of the platforms are running backwards, you can go to Tools > Options and then invert the axis for the backwards motor. If you would like to create your own image, you will need to convert your image to SVG first. 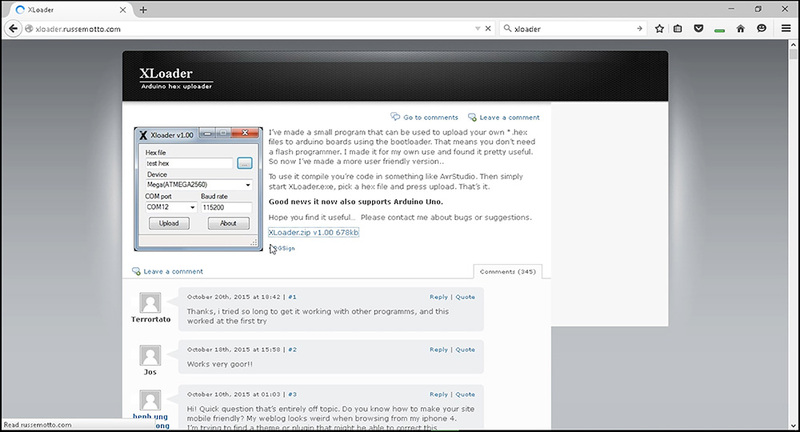 Then you can go to the website makercam.com and upload it. 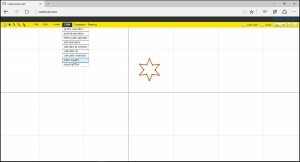 Alternatively, the MakerCam website also allows you to insert basic shapes by going to “Insert” and then selecting your desired shape. 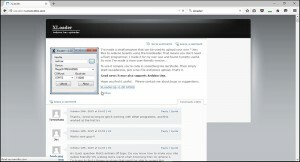 But whether you upload an image or generate one from the menu, these steps will help you convert it to G-Code. 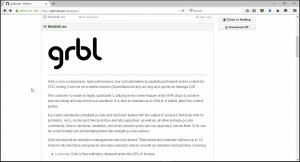 With the image still selected, go to “Cam > Follow Path Operations”. 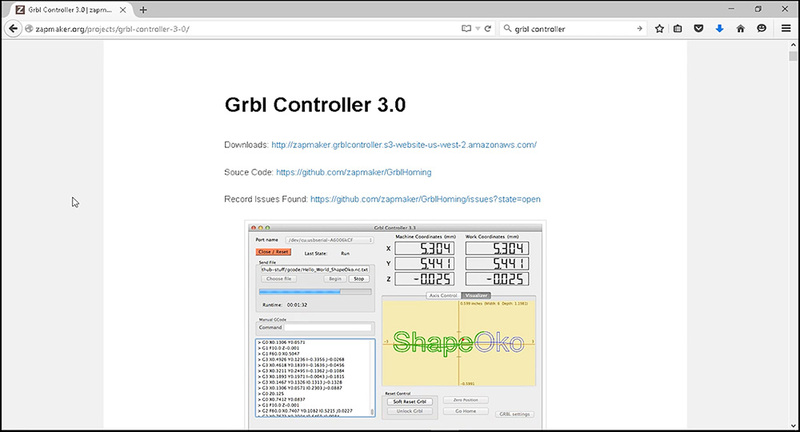 Change the target depth to -1, the safety height to 1 and the step down to 0.1 and then click OK.
All you have to do from here is upload that image to the Grbl Controller software and hit begin to start printing! It may take some tweaking to get the Axis adjusted perfectly, but once you have it adjusted, you should easily be able to print any image!